For me it was just a normal birthday. However, you are thinking a little bit about the fact that now perhaps the middle of life has been reached. I don’t feel I’ve missed anything or done something wrong. But I’m also looking forward to the next 40 years. My father turns 79 next winter and is still every day en route in the mountains, paragliding, snowboarding or climbing. If I have only inherited a little bit of these genes, then I still have 40 more good years ahead. Especially in high-altitude climbing I can still do amazing things in the next few years. And I’m looking forward to it. 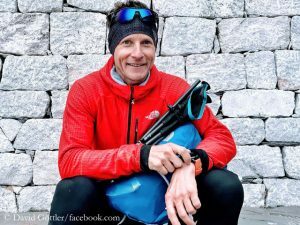 Did you yesterday also think of Ueli Steck, with whom you tackled Shishapangma South Face in spring 2016? Last year, he fell to his death on Nuptse – at the age of forty. Are you worried about overtightening the screw yourself one day? I always try to deal with the risk very consciously – as Ueli did too, by the way. I thought of him yesterday, but more with my future in mind: It would have been so nice to be able to plan new goals with him. First I plan to run a marathon in the lowlands in a respectable time. I will probably do this at the beginning of December. In the longer term, for the next five years or so, I want to tackle some of the eight-thousanders. 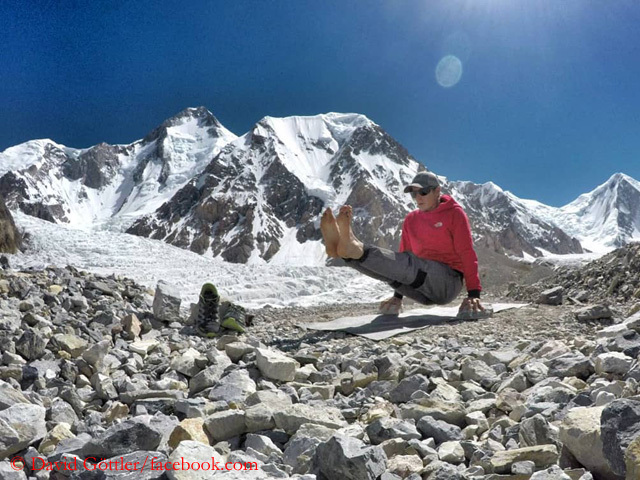 Gasherbrum IV, where Hervé and I were this summer, is also still on the list. 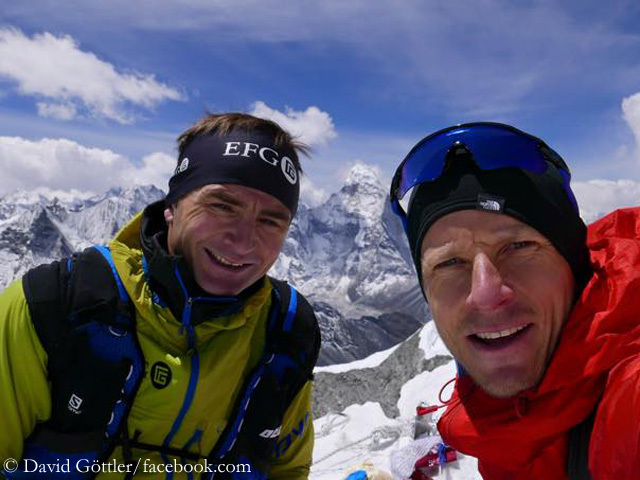 Which eight-thousanders do you have in mind? I have not yet decided in which order to approach them. But one of the eight-thousanders on my list is Kangchenjunga, where, on the fascinating north side of the mountain, my eight-thousander career began in 2003. I would like to make another attempt there. Then Nanga Parbat, a super exciting mountain, where I was already once in winter (in 2014 he had reached an altitude of 7,200 meters with Polish climber Tomek Mackiewicz). Mount Everest without bottled oxygen is also still a goal for me, even though there are so many people on the highest of all mountains. I would like to try out how the 400 more meters of altitude feel compared to the other eight-thousanders I have scaled so far (David has reached the summits of five 8000er so far: Gasherbrum II, Broad Peak, Dhaulagiri, Lhotse and Makalu). Also Gasherbrum I, which I viewed this summer from G IV, still offers many possibilities for new or unusual trips beyond the normal route. You were with Herve Barmasse on Gasherbrum IV. What did you experience? It was a super strange season in the Karakoram due to the weather. People may have been blinded by the news that there were more summit successes on K2 than ever before. 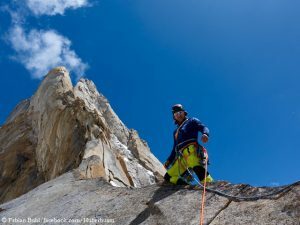 But commercial climbing has meanwhile also reached K2: There are fixed ropes from the bottom to the top, many Sherpas are in action, breaking the trail and pitching up the camps. Almost all summitters used bottled oxygen. Things looked very different on the other eight-thousanders. 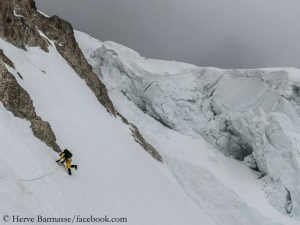 On Gasherbrum I and Gasherbrum II, for example, only two climbers each reached the summit: Luis Stitzinger and Gianpaolo Corona on G I, Adam Bielecki and Felix Berg on G II. 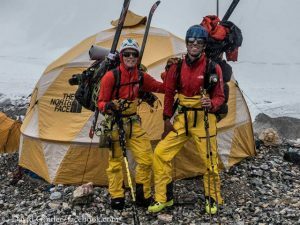 Bad weather and resulting adverse conditions on the mountain also made Gasherbrum IV difficult for us and prevented a real summit attempt. We reached our highest point during our acclimatization phase at 7,100 meters, just below the East Face. During the summit attempt we only got to Camp 1 at 6,000 meters. It snowed all night and still in the morning, there was no visibility. Because of too high danger of avalanches we then turned back. 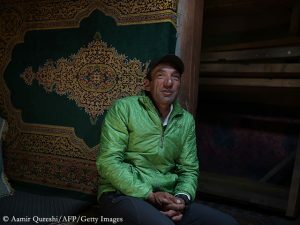 There were many other climbers besides you who returned home empty-handed too because of the persistently bad weather. As in the last years, the conditions in the classical summer season in the Karakoram were problematic. Shouldn’t one arrive later in the year because of the effects of climate change? We discussed this topic in base camp. Maybe we really shouldn’t climb during these “old school weather windows” when the best conditions used to be in the past. Climate is changing. Not only high precipitation, but also too hot and dry summers are rather bad for many climbing projects. I think we might really have to experiment in the future and travel to the Karakoram at other times. In the classical summer season it seems to become more and more difficult.